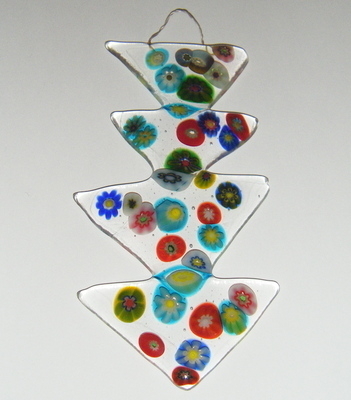 A bright and colourful piece that is great as a wall hanging as well as a suncatcher! Great designs that you won't find on the high street! Add some colour to the house. Great house warming or ideal wedding gift!